Chemical sorbent pad has a low-profile design and can be easily placed in tight areas. Ideal for small spill management and wiping down contaminated areas. Conveniently sized pads allow the user to quickly spread sorbent on and in the path of a spill. For use on most aggressive (hazardous) and non-aggressive liquids. 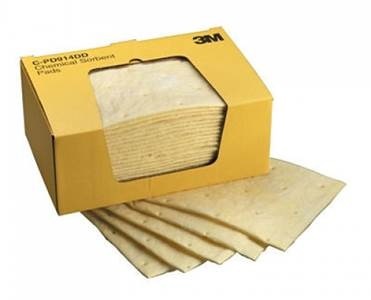 Highly absorbent, featuring a low profile design. Conveniently sized and packaged in a dispenser box. 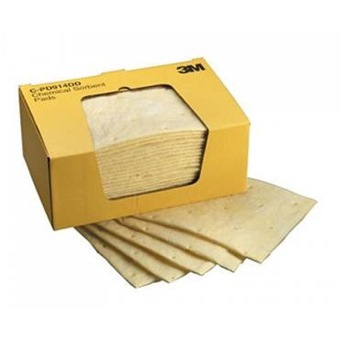 Ideal for cleaning up small spills and wiping down contaminated areas.